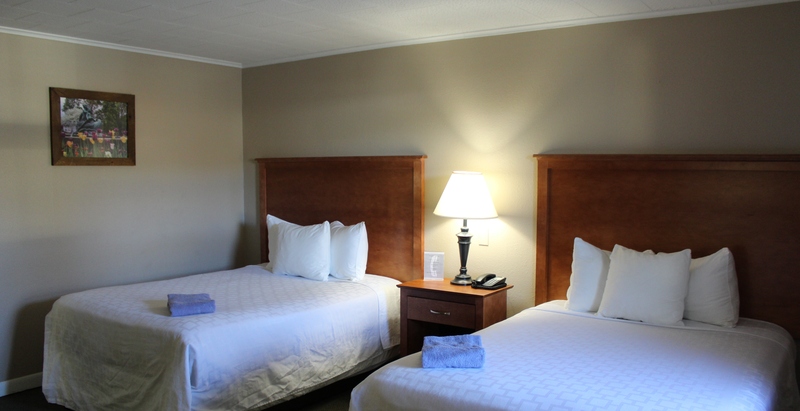 Large rooms feature a 2-person Jacuzzi tub, plus all the amenities of our Standard rooms. Spacious accommodations with 2 or 3 beds, plus a sitting room and kitchenette. In town for a while? We’ve got you covered with full size refrigerator, cook top and Queen sofa. Your choice of 1 King or 2 Double beds. Our King Suite Apartment is perfect for any special occasion. Enjoy a fireplace, full kitchenette and Queen sofa. The more the merrier. Our 2-bedroom suite apartment features a Queen bed in each room, full kitchenette, fire place, and Queen sofa.